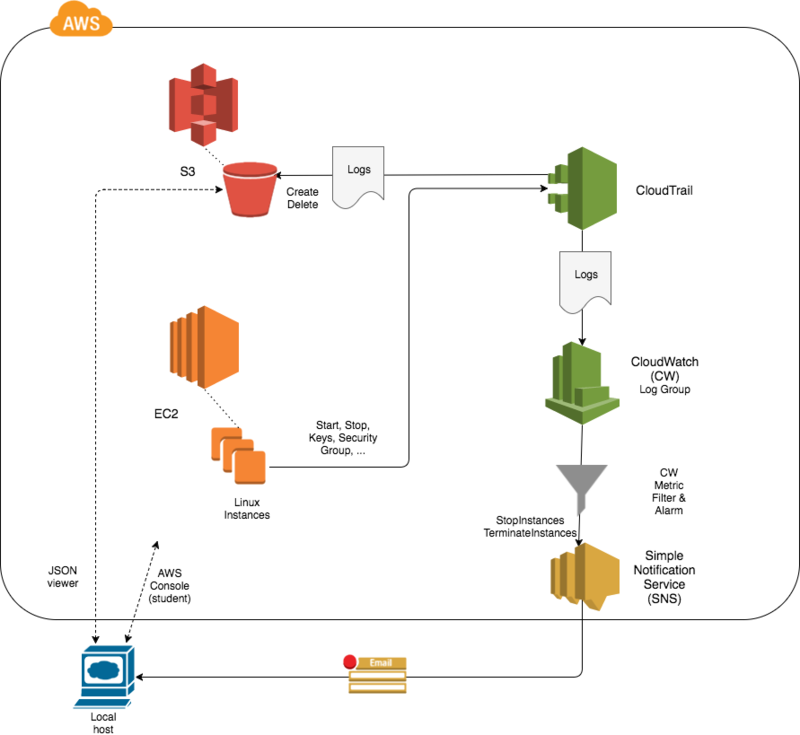 AWS CloudTrail is a service that enables you to log, monitor, and capture API-related events across your AWS infrastructure and most AWS services. Events that CloudTrail captures get delivered to an S3 bucket, and are also available for viewing from the CloudTrail console. CloudTrail captures, creates, modifies, and deletes API calls triggered from the console, API, command line tools, or even other AWS services. Optionally, CloudTrail can be configured to send events to CloudWatch as well (and this Lab does indeed tackle that, too). Typical use cases for CloudTrail, operating with CloudWatch, are monitoring, auditing, and security (governance, compliance, analysis).